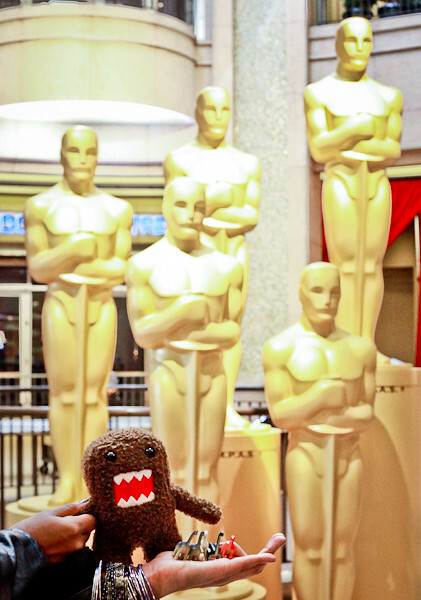 In this installment of Domo & Friends, the boys head to the Oscars. 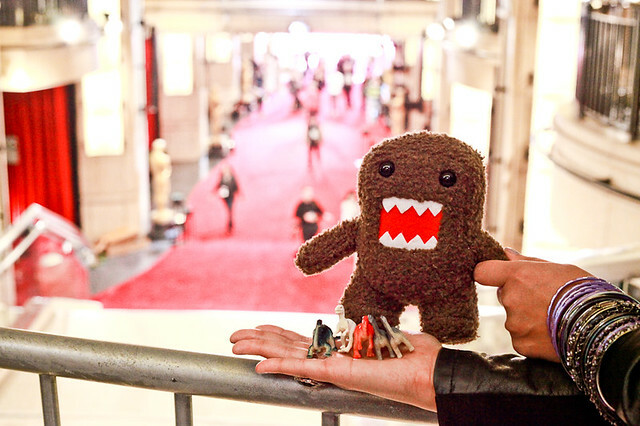 They wanted to walk around alone, but it was super crowded and busy, so my assistant and dinosaur-handler-extraordinaire Elise had to give them a little bit of help. Thanks Elise! Look at those poses! They're naturals. 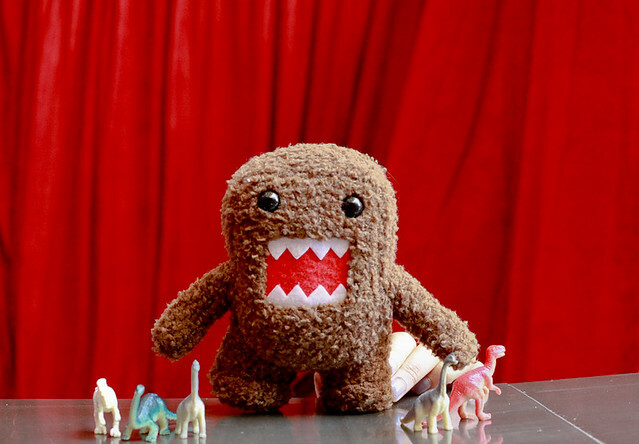 // Domo & Friends is a Project 52 series; one photo (or set of photos) of the same thing, once a week, for each of the 52 weeks of the year.